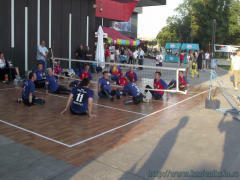 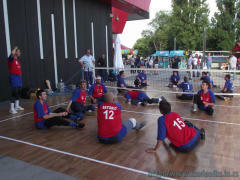 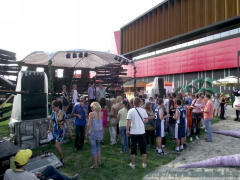 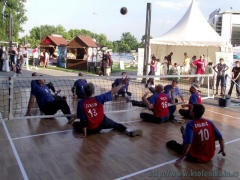 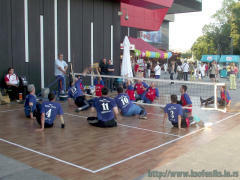 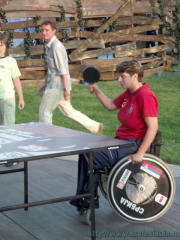 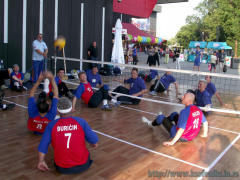 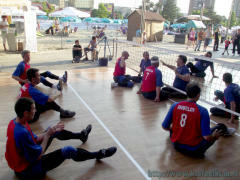 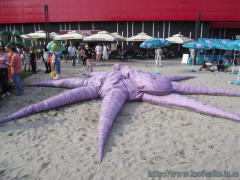 In front of the Ušće Shopping Centre on 15th June 2011 was opened a multidisciplinary event "Belgrade Sport Fest 2011". 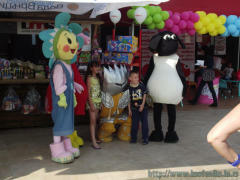 The opening of this event was opening of NAXI-beach, and the opening was followed by the Naxi radio. 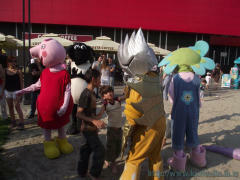 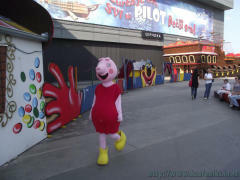 The next few days took place wide variety of events, in an interesting scenery, even in the presence of cartoon characters. 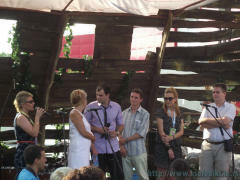 You can read more about this event here and here. 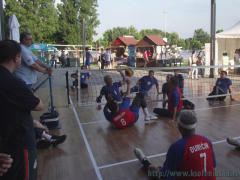 KSO "Feniks" has joined the event by plazing promotional match against the club "Banja Luka" from Belgrade, as a part of social responsibility campaign "Sport for a reason-warming up". 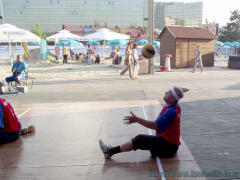 The part of the plateau between the "Children's City" and the beach was covered with linoleum, construction and the net was set and - the match could begun. 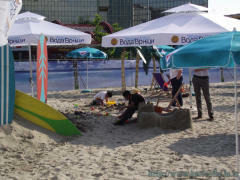 It is obvious from the photographs in the gallery there were not many of the audience, which is quite normal and expected: the external temperature was 28°C so it was more pleasant to stay in air-conditioned shopping mall. 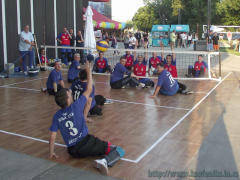 However, during that hour that match lasts there was no passers-by who did not stop, watched some of the match, inquire something about the sport, praised competitors, even spontaneously applauded after nice moves, although many of them were just the first time watching a game of this sport. 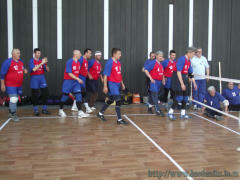 Unlike the random visitors, there were those who came to see and greet the players on both sides - as our friends from the KSO "Smeč" from Belgrade. 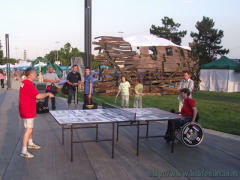 As on opposite sides were equally strong opponents on the field, and friends outside of it, all eager to play and prove, viewers left this improvised arena with an extremely positive impression. 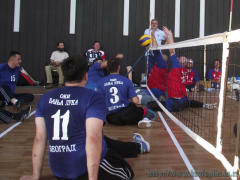 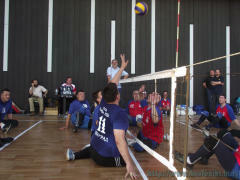 Finally, that was the goal, to show sitting volleyball to everyone that is interested in joining and to those who are able to help development of this sport and to other sports displayed. 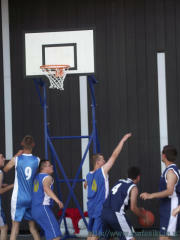 And the result is irrelevant, but I believe that both sides would agree that it was - a draw.